If you would like to get your concealed weapon permit in Louisiana on your own time without going through the hassle of trying to find a class that will fit your schedule, we have what you’re looking for. Even though there are usually several classes set up throughout the state, you’ll still have to pay the class fee, gas to get there, lunch money for a good shrimp poboy someplace (or just a good burger and fries), sit through the eight-hour class, drive back, find the local police department to get your fingerprint card, pay the fee to get the permit and wait. Dealing with all that can be a problem if you work nights or work offshore – your time off is usually spent catching up with family life and maybe catching up on some sleep, especially with a one- or two-week on / off schedule if you work offshore. Are There Any Louisiana Concealed Carry Classes Online? No. You can get private training at your home if you want, but that is going to be expensive. And unless you live out in the boonies, you can bet the neighbors will be wondering why there is a bunch of gunshots over at your place. That’s one of the reasons we offer our training course online, so you can get the educational certification that you need from a certified instructor without any of the hassles of trying to find a good class that will work with your schedule or take away a whole day of family time. We will give you what you need and teach you about the other information that you will need for your permit in a lot less time and without the inconvenience. With our online training, you can get your concealed carry permit without having to waste your time going to some all-day class. You will also be able to legally carry a concealed weapon in 28 states due to reciprocity – that means that your new concealed carry license is good in other states as well so you don’t have to worry about needing a state-specific permit for every state that you may travel in or live in. For example, if you live in Louisiana but want to go fishing in Biloxi, you can carry in Mississippi without worrying about whether your permit is good. After you finish our online course, you will be applying for the Virginia nonresident concealed carry permit. Virginia enacted a law several years ago that allows nonresidents to obtain a concealed carry license and fulfill their training online. The process is only five steps and any law-abiding citizen will be able to get their concealed carry permit. As long as you meet the Virginia requirements, which we describe below and on our website, you can apply for the nonresident concealed carry permit from the state of Virginia. That way, you will have a valid concealed carry permit while you are saving up for that $500 lifetime license and if you have a family, you might have to save up for the $125 five-year license in Louisiana. Hey, we know you just got done paying school fees not too long ago and that permit fee has to go for the light bill and groceries first. Watch the training video for free. After that, take the short 12-question certification quiz and download your certification. Once you get that done, you will just finish the process by printing and mailing your training certificate along with the Virginia nonresident concealed firearms application and the rest of the information needed to get your license. That’s all there is to it. As long as you are at least 21 years old, are mentally competent, able to pass a state background check, are not a felon, are not addicted to illegal substances, have no assault convictions, have not been convicted of two or more misdemeanors in the last five years, nor been dishonorably discharged from the armed forces, you should meet the requirements for the Virginia nonresident concealed carry license. This training has become a very popular way for many people to get their concealed carry permit without the huge cost and inconvenience. A lifetime permit in Louisiana will cost you $500, by the way – and you still have to take a class every five years! So you might want to get this done ASAP, before Virginia decides that their backlog of people wanting permits is getting too much for their staff to process. And you can bet some of those wanting their CCW license didn’t even send in all the right paperwork, so that adds to everyone’s misery, too, no matter what state they live in. We provide expert concealed carry training from a state-certified instructor. The initial six questions are designed to be your first step in getting qualified for your permit. We are a private training agency, giving you everything that you need to get a concealed carry license, from basic safety to teaching your kids about firearm safety, why and when you should keep your gun loaded, unloaded, or locked up. Afterwards, you correctly answer the 12-question test (don’t worry, it’s multiple choice) and then you will be able to download and print your certificate. Each certificate is signed and stamped with the Utah state seal and the ID of the instructor who is certified by the state of Utah to teach these courses. Our instructor has taught both public and private firearms courses and is a pioneer in the area of online training in firearms. 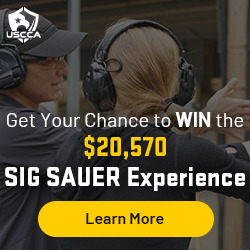 Our instructor also holds instructor certifications from the state of Utah as well as the National Rifle Association, which surpasses many of the in-person and online instructors. Our coursework material is nationally recognized in all 50 states and our handgun safety training exceeds the minimum requirements that you will probably get in many other classes. Fortunately, Louisiana is both a “Castle Doctrine” and a “Stand Your Ground” state. This means that you have the right to use deadly force if it is necessary to prevent or force someone to leave that is making or trying to make illegal entry into your home, business or vehicle. So if mama is minding the store all day or your wife is home with the kids at night – being able to get their concealed carry permit means that no one is going to try to mess with them for very long. Plus, we’ll show you what to do to reduce your risks of possibly becoming a victim in the first place, so you will probably want the whole family watching this one. While the laws may vary from state to state, most of them are the same when it comes to where and when you can carry concealed and when you cannot. There are also some federal laws that are mistakenly violated and you will certainly want to know about those, as well as what you should do and say if you get pulled over, to keep from being arrested for no reason or worse yet, shot by some nervous rookie. You may be temporarily disarmed, but if all is well, you should receive your gun back at the end of the stop. Many people never consider this critical area of self-defense. While it’s true that most people will generally stay away from “high-crime” neighborhoods, they are often too busy to think about what is happening around them when they are simply going about their daily routine, not to mention who might be around them. And nowadays, a lot of people pay more attention to their phones than they do to their surroundings, making them prime targets for those whose intentions aren’t exactly wholesome. It is very easy to become a victim if you’re not paying attention! It’s also easy to learn how not to be a victim in the first place. So no matter if you live in the Garden District or if you’re just someone out running errands in Bastrop, you’ll need to know the ways to save your own life and what to do if or when you are faced with the situation of having had to shoot someone in your home that tried to threaten, rob or even kill you and your family. It’s also a good idea to have what’s called a “safe room” in your house that your family can go to if something does happen in the middle of the night. There are also ways to intruder-proof your front door that you can do…and have you thought about the second floor? Not every crime will come waltzing through the front or back door! And crime doesn’t happen just when the weather is nice. We all know people can get pretty desperate during a natural disaster and some of them can resort to doing things that they would not normally do if they didn’t have three or even eight feet of putrid water to wade or boat through. We give you the educational competency and certification necessary to get your Virginia nonresident concealed carry permit, all from the comfort and privacy of your home, without the need for scheduling a class, paying for gas, buying lunch, finding a place to park and spending all day doing that. After you finish our short video course, you’ll answer a 12-question test. Once that is done successfully, you’ll be able to download and print the certificate of completion so that you can send it and the rest of the required information off in the mail. And we’ll tell you what information you’ll need to get together so you won’t have to put up with some paperwork error. Then all you have to do is wait for your permit. Plus, it is your constitutional right to bear arms. That is what the second amendment is all about. It’s a privilege to be able to legally keep a firearm when many countries either have serious restrictions on them or just ban them outright. We can defend ourselves and our families and we should never take that for granted. Being prepared for self- and home-defense protection needs to be taken seriously when crime or disaster can happen anywhere and at almost anytime, day or night. And unfortunately, laws and statutes can change. Virginia’s program is pretty popular, but if they start getting too far behind on processing permits, they might just decide to change that!